In the last few months I have had a lot of time for introspection. It turns out I'm not just a guy who likes working with computers and dabbling in robotics in his spare time. I'm a guy who just likes making things. All things! Robotics is just a category of the things that I like to make. I've always been this way, although I didn't realize it until recently. I don't want to make a wordy post about all the things that I've made in the past or present, but I do want to say that ever since I realized that I just like making things, and started embracing this part of myself, I've been happier. Here is one example of how I am now happier. Before realizing I just like making things I would have gone into this weekend pressuring myself into working on my dogbot and making a video. I would have measured my enjoyment by my progress, but that is no way to live! Instead, I went into the weekend wanting to work on my dogbot, but getting side tracked. I was researching braids so that I could braid a collection of wires running to the dogbot foot when a few ideas and desires collided. My belts (the ones that hold up my pants) are getting old and falling apart. I don't want to buy anymore leather belts because... [whispers] I'm a vegetarian... and I don't want to spend the money for an organic "trendy" belt. I have 1000' of parachute cord and worn out belts with working buckles. I like making things. Fast forward 2 hours and I have a new belt! 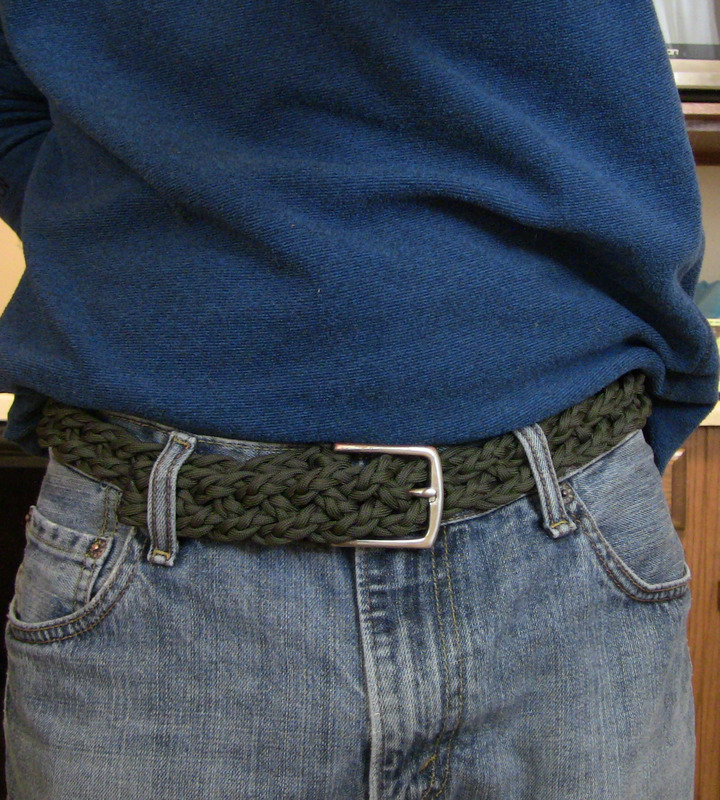 Making this parachute cord belt was not what I planned on doing this weekend, but the act of making it has made me very, very happy. To all you makers out there, be encouraged to embrace the true you. It's OK to jump from one project to another so long as you keep your work-space clean, and finish a few projects every once in a while. Adam savage has helped me realize that "achieving the end of the exercise was never the point of the exercise to begin with, was it?" Super insights. My day job is as a chemist, and making stuff (electronic, mechanical, software) is my passion. It has spilled over into work life, too, since I develop instrumentation as much as traditional boiling and bubbling chemistry, so I am really, really lucky. Enjoying your blog. The passion and drive is palpable. Thanks for the note, Dave! Comments like this keeps me posting. thanks gavilan, i will try it one time for check bags its working or not.